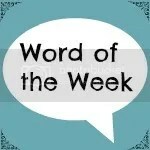 Now please don’t get too excited when I tell you that this week’s word of the week is… NAKED. Firstly, my Son appears to be practising for a promising career in naturism. His naked bottom is making frequent appearances, in private and public. He will pull his trousers and pants down at ANY GIVEN OPPORTUNITY. Today in Cafe Nero in Harborne. Also three times at home. What started as an expression of anger (which was in reality quite hilarious – furious, pouting, screaming child shuffling around like a penguin with his trousers and pants caught round his legs) has now become a habit. I have no idea how to deal with it, so I am ignoring it. And really there’s not much more to say on the matter. Secondly, because I am not much in love with my naked face at the moment. In fact, I am not in love with any version of my face: naked, caked in makeup, or anything in between. Three hectic, stressful, sleep and exercise and sunlight deprived months have taken their toll and I look like a hag. My skin is pallid and dry and wrinkled. I have bags upon bags upon bags under my eyes. It has bothered me all week, my naked face, especially as people have this week started expressing kind but soul-destroying concern. OOO ARE YOU OKAY, YOU LOOK DAZED AND TIRED. But IT IS OK PEOPLE! I have A THREE POINT PLAN. 1. DO NOT ALLOW THE NOVELTY OF YOUR THERMOS (yes, Thermos, read this) to stop you drinking WATER. Water is good for your skin. Skipping water for gallons of tea from your Thermos will not make you all glowy and dewy-skinned like Ingrid friggin-Nilson. So I will be taking another Thermos (don’t ask) of chilled water to work with me and alternating tea and water. HA HA. 2. GO THE FUNK TO BED. Stop waiting up for your husband while he works his 100 hour a week job. It is a sweet gesture, but you are both so tired by the time he crawls through the door that you just grunt at each other like Dinosaurs and slope off to bed to dribble and snore. Give it up. He is giving up the job. You can have a conversation soon. Sleep is good for your skin. So you can absolutely expect a Word of the Week along the lines of GLOWING or RADIANT in a few weeks time. I might even share a picture of my transformed face. Although there will probably be a child with no pants on in the background.